What’s in a label? For pest control operators there is much more to find in a label than just words; there is law. Each and every chemical used in pest management has certain purposes and conditions that companies must follow when handling. These policies are sustained to maintain the safety of clients and proper extermination. Labels carry strict, unbendable outlines for usage, and along with this strict adherence of policies come many implied expectations and qualities. When a pest control operator is solicited, its purpose is to regulate chemicals according to their labels. Anyone can smash a roach with a sandal, but mass extermination and the science of the chemicals involved is the operator’s main purpose. This purpose is the core to the company. Clients that hire professionals do it out of trust. This trust stems from the implication that the exterminator will practice proper application methods on the job. The trust that labels truly will be law. 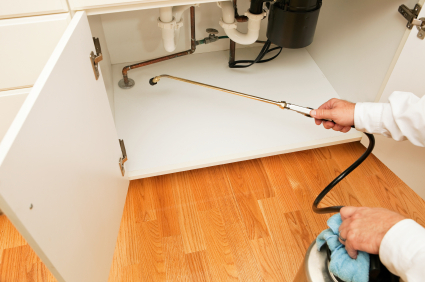 Each exterminator goes into a job with a purpose and a sphere of trust. The purpose to properly interpret the company’s pesticides and the trust that they will do it as trained. So what happens when homeowners decide to take pest control into their own hands? Is the label still the law? In Elizabeth Whitfield’s case, the label certainly was not her priority. She was using some bug foggers to get rid of her single-wide mobile home’s pest problem, and those ended up not killing the bugs, but killing her 10-month old baby. Each fogger she used was meant for a much bigger home and while she used 2 to 3 a week, the normal use was of 1 per month or few months. So is the standard for pest control the same for licensed companies as for homeowners? It should be, but unfortunately, and hypocritically, it is not. Over-the-counter pesticides are not as regulated as they should be for homeowners, yet important chemicals used by professionals are constantly banned and restricted to the pest control market. 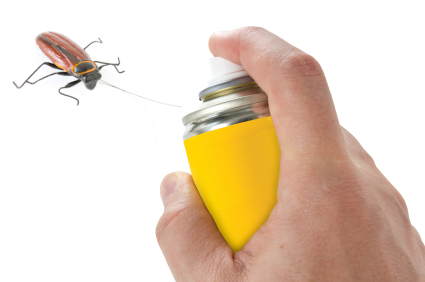 Chemicals used by pest control operators can be very dangerous, but so can in-home treatments. All labels, whether used by professionals or used at home, should be treated as law to maintain the safety and proper outcome desired. Labels are a priority when dealing with pesticides. Many of them can be complex and should only be treated by professionals. The best extermination will only be achieved with the best service. Most guys don’t read the label when doing it at home, and this is what causes accidents; many severe accidents. Pest control abuse is far too common among people and homeowners choosing to neglect professional help, but the expectation that professionals will read the label is more than just an expectation, it’s a law; a law that should be applied in all aspects of pesticide usage and all pest control.